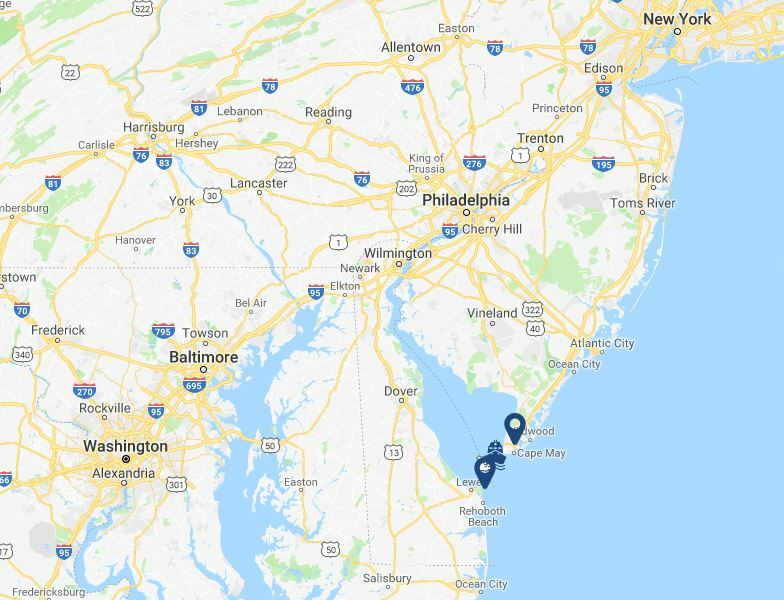 The 17-mile, 85-minute cruise between New Jersey and Delaware can cut miles off a trip along the Atlantic Coast and connects travelers to beautiful beach towns. Below, you will find information on how to get to our terminals and ground transportation options to local towns if you travel across as a foot passenger. Both Cape May and Lewes terminals offer shuttles that can help foot passengers get around the local area. Shuttles operate on seasonal schedules, with limited stops, so be sure to talk to a customer service representative before making travel plans based around the shuttles. Shuttles from both terminals operate seasonally between Memorial Day weekend and September, with daily service beginning June 1. The Shuttle fee for the Cape May and Lewes routes is $5/person for 6yrs of age and older. Taxis are available locally. Please inquire with customer service at the ticket counters in either terminal if you need a phone number for a local service. Enterprise Rentals can also be contacted at local offices and will sometimes drop off cars. Ubers are available on both sides of the bay, but there is not extensive coverage in the Lewes and Cape May areas. Public transport options are generally not within walking distance and require a taxi or shuttle to get to transit centers in the local towns. To check state transit options see the links below.